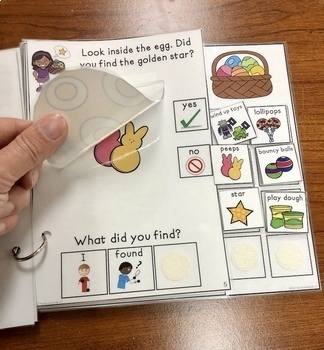 Your students will love looking in the Easter eggs (lifting the flaps) to help the children find the golden star. This book targets functional vocabulary, MLU, yes/no questions, and more! It has two interactive elements to keep your students engaged! This file contains 2 identical books: One has a girl (Evie) and the other has a boy (Evan). Choose the book you want to make! Click the preview above to see inside! Recommended for pre-k through 1st grade depending on skill level. Designed for students working on expanding language skills. This would also be great for inclusion lessons and special education classrooms! 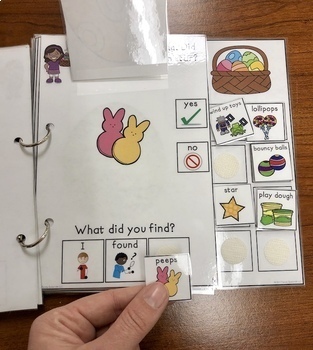 ★ Interactive Book-please note: this book has to be constructed just like any other book downloaded on TPT, make sure you are willing to put it together before you purchase. Lamination and velcro required for assembly (it is worth the work)! 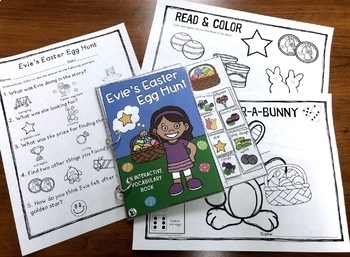 ★ No-prep comprehension worksheet with pictures (use with crayons, markers, or bingo dotters). ★ Color-A-Ocean scene dice coloring activity. ★ Read and Color worksheet (the student colors the objects they find on each page). The book's pages are about a 1/2 of a horizontal sheet of paper (right under depending on your printing settings). Make sure you check your printing settings before printing (some printers may put a large margin around the page, making the book pages smaller). Please see my previews to see how the book looks compared to my hand for a size reference! 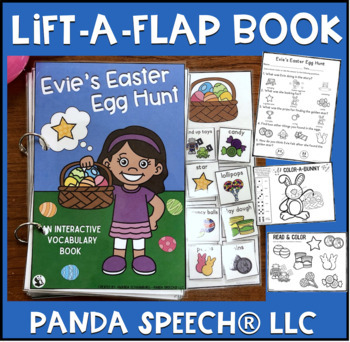 ⭐ Check out all of my popular "lift-a-flap" books here! ✔ Did you know I also make toy companions for speech and language? Check them out! ☆ Articulation and Language Racing Mats Toy Companion BUNDLE! Don't forget to leave feedback for TPT credits to use towards future purchases!